With HBO out of the boxing business, two of the biggest fighters in boxing are looking for new broadcast homes, as Canelo Alvarez and Gennady Golovkin were two of the cornerstones of the network’s boxing coverage. 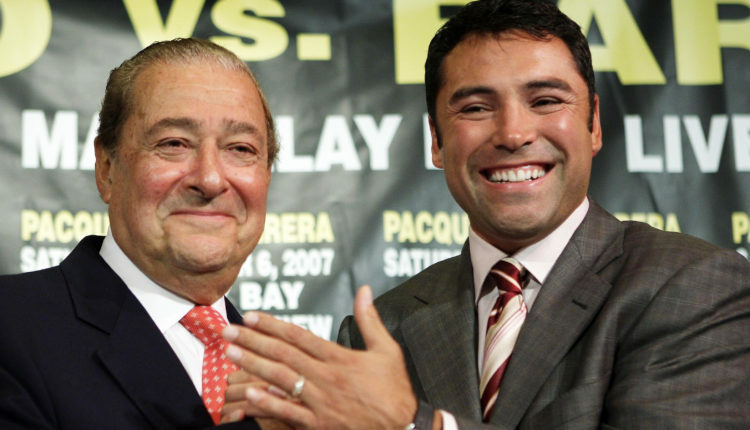 Alvarez was planning to test free agency following his win over Golovkin on September 15th, as it was the end of his contract with the network, but Golovkin was still with the platform leading up to Thursday’s announcement that after 45 years they will discontinue their 45-year relationship with the network. Top Rank CEO Bob Arum has put a plan in place to bring Golovkin to ESPN and ESPN Pay-Per-View, as company president Todd duBoef has reached out to Golovkin’s team about bringing them aboard. Per their deal with ESPN, any promotion that broadcasts on ESPN must work with Top Rank. Golovkin and his team are reviewing offers, but GGG is not interested in having long term deals with any network, preferring to only do a fight-to-fight deal. While Arum is open to working with Canelo Alvarez, the relationship with Bob Arum and Oscar De La Hoya is contentious at best, but Arum is willing to come to the table. “Todd will be talking to Tom Loeffler about the possibilities,” Arum said to Boxing Scene. “And as far as Canelo is concerned, he’s under contract to Golden Boy and they’re experienced enough, I assume, to make their own deal. So if they came to us and wanted to know what ESPN had to offer, we would tell them. But that’s up to Golden Boy.